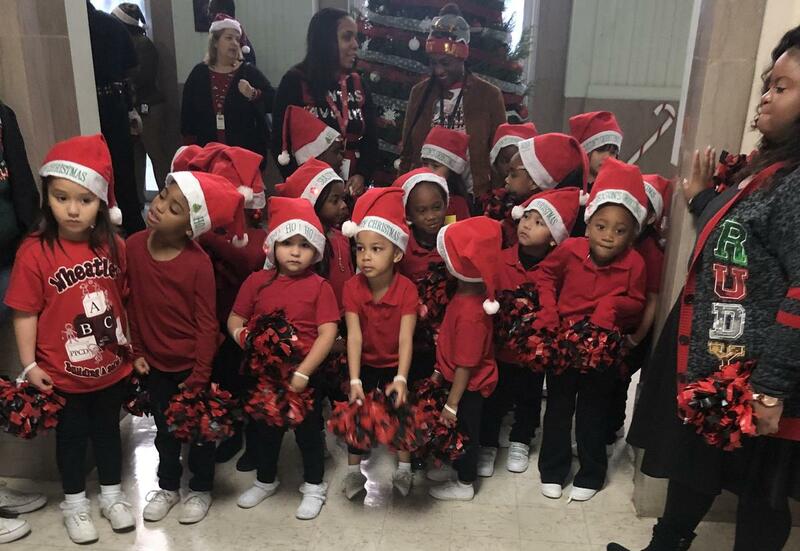 Students from DeQueen, Washington, and Wheatley participated in the Annual Tree Lighting Ceremony at the Jefferson County Sub-Courthouse in Port Arthur. DeQueen students sang Christmas Carols while the Washington and Wheatley cheerleaders performed. The ceremony was sponsored by Commissioner Shane Sinegal.